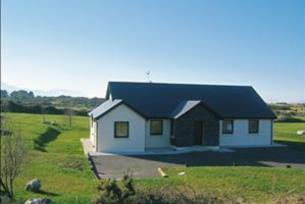 Seabreak self catering property adjoins Dooks Golf Club and beach between Killorglin and Glenbeigh, in County Kerry. The cottage is 3 kilometress from Caragh Lake, with views of the MacGillicuddy Reeks and Dingle Peninsula. Situated just off the Ring of Kerry on the Iveragh Peninsula, Seabreak, a detached self catering property adjoins Dooks Golf Club and beach. To the North there are views across the bay to Inch Strand and to the rear of the property lies Dooks Golf Club established 1898. Seabreak boasts a spacious bright interior of approximately 156 sqm accommodation and is set in a west facing garden, The accommodation caters for 8 people and comprises an entrance hall fully equipped kitchen/dining, utility, sitting room, ensuite master bedroom, 3 further twin bedrooms family bathroom and cloakroom. The property is appointed to a high standard with an open fire place and marble and oak floors throughout. Seabreak is an ideal location for golfers or families touring County Kerry and West Cork because of its location just off the Ring of Kerry route which takes in Cahersiveen, Waterville, Sneem, Kenmare, Killarney and Killorglin. Outdoor Activities: It is 8 kms from Cappanlea Outdoor Activity Centre at Caragh Lake where orienteering, canoeing and sailing instruction can be enjoyed. For hikers the Kerry Way can be joined within 3 kms. Mountain climbing & Hill Walking - There are many different types of walks from Ireland’s highest mountain peak - Carrantouhil (1040m) above sea level or to the many less demanding hikes through forests, valleys and hills. Fishing - Rossbeigh Beach can cater for all shore anglers be it beach-casting spinning, plugging or saltwater fly fishing. For rivers, the upper and lower Caragh River and also the Behy provide superb fishing. Boats can be hired for fishing on Caragh Lake. There is fishing for mackerel, conger, pollack from Kells Bay or Valentia Island and Deep Sea Fishing from Valentia, Portmagee, Renard Point, Kells Bay etc. Golf - In addition to Dooks Golf Links, there are Killarney's 18 Hole courses, Mahonys Point, Kileen and Lacabane (25 mins), Killorglin, Beaufort (15 mins) Tralee Links, Waterville Links(50 mins), Ballybunion Links 2 courses (1 hour+). Places to visit -Skelligs- Great Skellig island is a huge mass of precipitous slate rick, 715 ft. above the Atlantic. A long flight of stone steps leads to a monastery which brings back the atmosphere of early Christianity. Small Skellig is one of the great gannetries of the world. 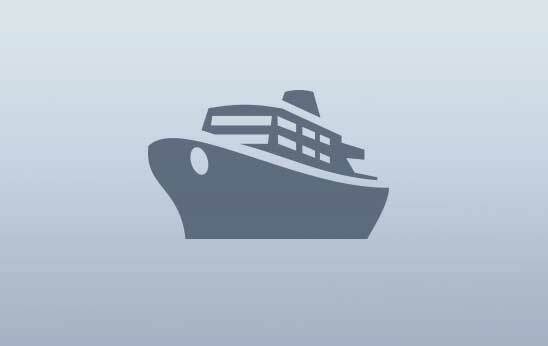 Licensed boat trips available. Skellig Heritage Centre - Located on Valentia Island. Modern interpretative techniques are used to tell the story of Skellig Michael. Killarney - With its famous lakes, Ladies View, Torc Waterfall, Ross Castle, Aghadoe and Muckross House surrounded by its National Park of 26,000 Hectares, known for its wildlife and grazing herds of Red and Sika Deer- their rhododendron species, hybrids and azaleas, formerly known as Muckross Estate. Tralee - Famous for its International Rose of Tralee festival every year Staigue Fort -Ireland's best preserved Ring Fort, circa 1000 BC Derrynane House - Home of 'the Liberator’. Gap Of Dunloe – Beaufort.